This incredible slow-motion video shows the moment a brave diver pulls a hook from the mouth of one of the world’s most dangerous sharks. 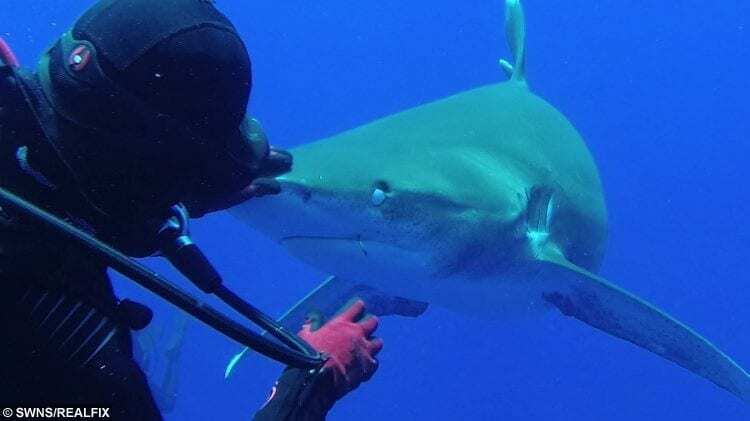 The footage shows diver and marine biologist Leigh Cobb bait the oceanic white tip shark with a fish – before dislodging the piece of metal with her right hand. 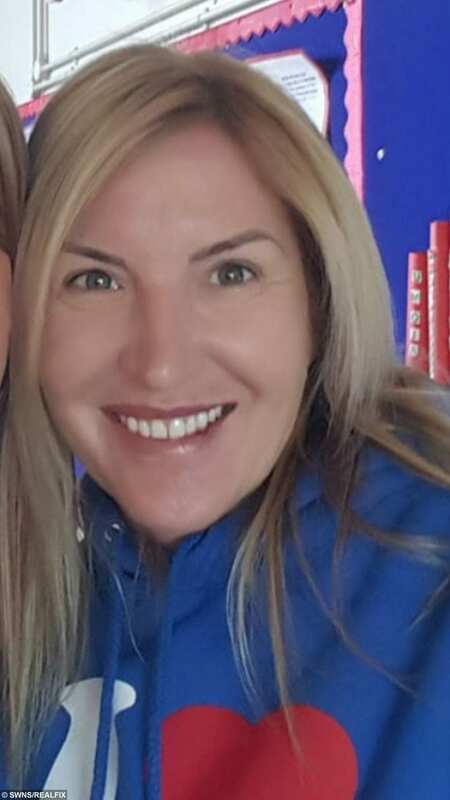 Leigh Cobb, 38, an ex-pat from Palm Beach, Florida. Leigh, 38, said: “The hook was stopping it from eating, so I think I could well have saved its life. Ms Cobb, who is originally from Wythall, Worcs., said the manoeuvre was particularly remarkable because oceanic white tip sharks are usually shy and don’t like human contact. The species was described by Jacques Cousteau, the renowned oceanographer, as “the most dangerous of all sharks”. Leigh Cobb, 38, an ex-pat from Palm Beach, Florida removes a hook from a shark’s mouth. However, many of the attacks are not recorded because they occur not in coastal areas but on people adrift in the open sea – particularly after shipwrecks and aircraft crashes. They are largely solitary animals, but are scavengers and will group together in a feeding frenzy if an opportunity of a meal presents itself. Leigh runs trips from Florida to the Bahamas for the public, a route that takes about 50 hours by boat, to introduce them to a world of sharks that is very different to the one shown in movies like Jaws. She said: “They realise after coming on one of our trips just how wonderful these animals really are and they also see first hand how important sharks are to the ecosystem.